Book now for Sexuality, relationships and learning disabiities. 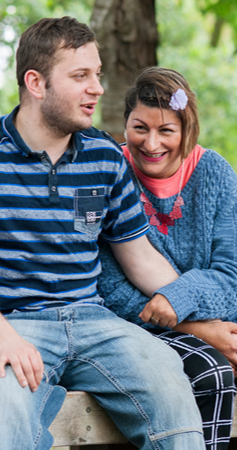 This is a 1 day workshop focusing on giving staff that support adults with learning disabilities knowledge and skills to empower the adults they support with learning disabilities to understand their own sexuality, sexual needs and also relationships. This is an invaluable of day of training for anyone dealing with the sensitive and sometimes challenging of sexuality and relationships when supporting adults with learning disabilities. You will get the chance to create your own 'training buddy' to accompany you and other learner's throughout the day using our unique MyTrainingBuddy process. By applying your experience and knowledge to your self generated case studies you will be able to see how the skills and knowledge you gain during the day can be applied back in your health and social care setting with your adults with learning disabilities.